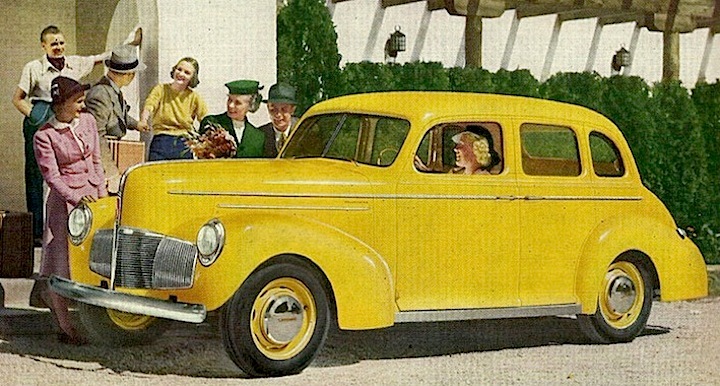 (June 30, 2014) Chrysler was the first American automaker to streamline a vehicle when it introduced the Chrysler Airflow in 1934. Led by Chrysler engineer Carl Breer, the company sought to build a car that was less susceptible to air resistance to get more performance from the engine and increase gas mileage. (May 20, 2014) The Hudson Hornet was redesigned for 1955 under the auspices of the merged Hudson Motor Car Company and Nash-Kelvinator, formed in 1954 as American Motors Corporation. One of the new features of the Hornet was an air conditioning system. 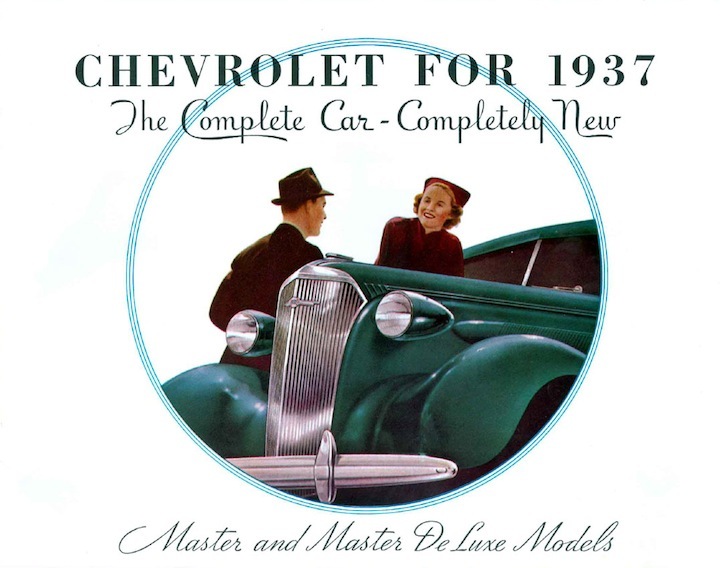 (May 5, 2014) An interesting nearly 14-minute documentary from 1936 depicts the extent of the vast advertising blitz Chevrolet was planning in its run-up to Nov. 7, 1935, the day the new 1937 Chevrolet was to be introduced in showrooms around the country. 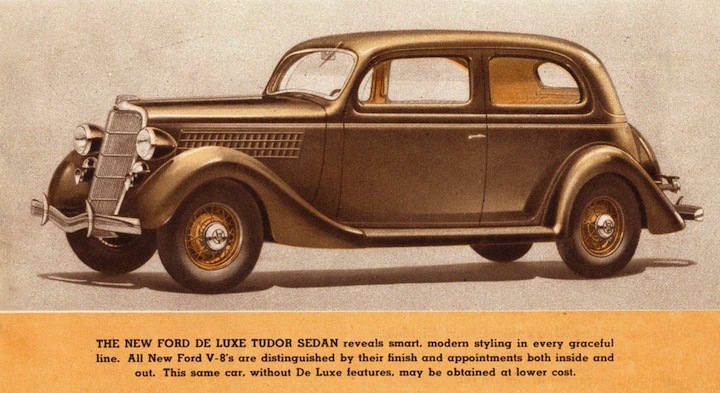 (March 24, 2014) Ford completely refreshed its popular V-8 Ford for the 1935 model year giving it a more modern appearance that included a grille pushed forward and more integrated fenders. The transverse leaf spring suspension remained for 1935, but the front spring was relocated ahead of the axle to allow more interior volume. The body was lowered and new "Center-Poise" seating improved comfort. 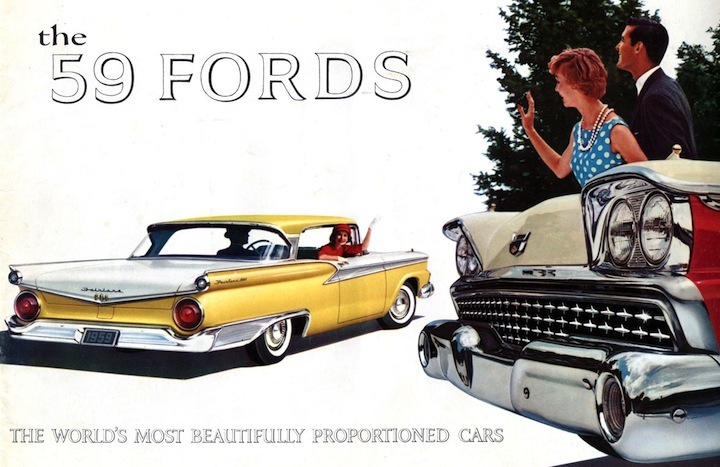 (March 7, 2014) As the final Ford in the design cycle that began with the all-new 1957, the 1959 Ford Galaxie and other models received far more changes than most end-of-the-line evolutions, probably because Ford knew an all-new 1959 Chevrolet was coming. 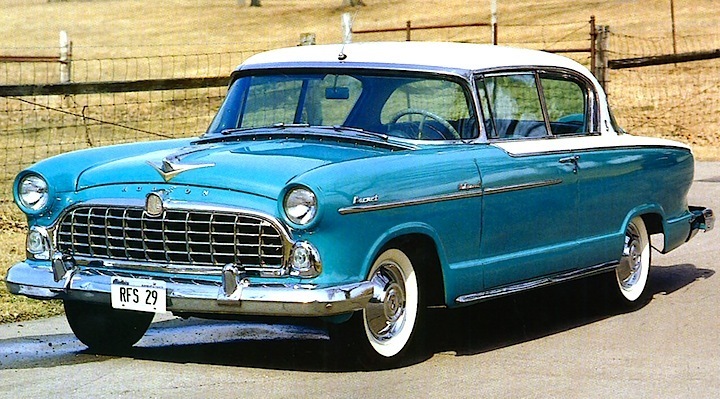 The previous 116-inch-wheelbase models moved over to the 118-inch Fairlane/Fairlane 500 span. New outer panels covered a much-changed 1957-1958 inner structure, resulting in bigger, brighter, blockier cars. (February 13, 2014) In 1953, Packard reintroduced the Cliipper name after a five year absence on its entry-level car replacing the Packard 200 in the hopes of increasing sales with a "more affordable" Packard. 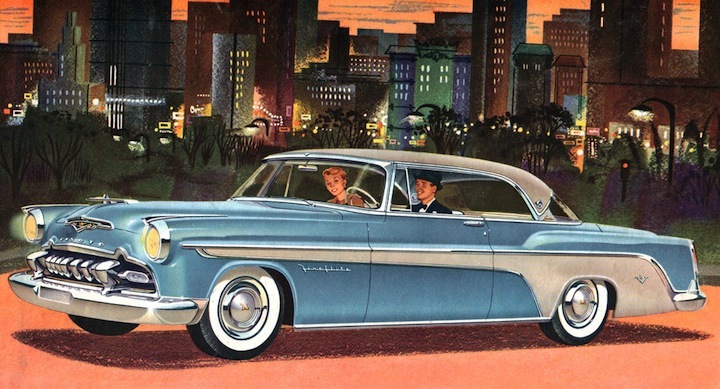 The Clipper was available in Special and Deluxe trim models and two-door and four-door sedans. (January 17, 2014) Studebaker designed a clean-sheet entry level nameplate, the Champion, for the 1939 model year to bolster sagging sales. The effort paid off with the Champion becoming one of the company's best selling models. The Champion offered a low starting price of $660 and excellent gas mileage for the time. Champions became even more popular during World War II with gas rationing. (January 9, 2014) Just like a house, a car has to have a strong foundation. Chevrolet in a 10-minute movie released in 1935 describes how a old cars are like haunted houses, unless you are the owner of a 1935 Chevrolet. Making the car's frame strong and rigid with several cross-members is depicted in an animated drawing. Finding the point of maximum stress was the goal of Chevy's engineers in the mid-30s, according to the movie. A very interesting video from nearly 80 years ago. 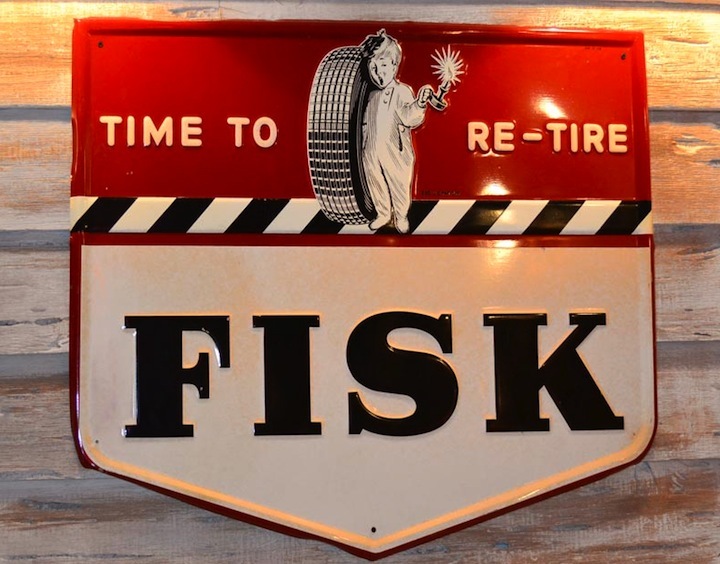 (December 20, 2013) Fisk was one of the most popular tires in the first 40 years of the 20th Century and was famous for its "Time to Re-Tire" tagline. By 1916 the company was manufacturing 5,000 tires per day out of its Chicopee Falls, Mass., facilities. With the arrival of the Christmas season "Lexus to Remember" ads start appearing on a variety of programming depicting a new Lexus in the driveway with a giant red bow attached to the roof. Giving a car for Christmas seems to be the thing, at least in the world of luxury transportation.